A good song sung with conviction never goes out of fashion. Eternal Champion craft very good heavy metal songs indeed; in their slower moments reminiscent of post-reformation Manilla Road, as heard especially on Atlantis Rising and The Spiral Castle, in faster times perhaps doffing the hat to older Ozzy and Jake E. Lee’s work on The Ultimate Sin, it is still hard to conveniently pigeonhole Eternal Champion as being entirely derivative of this or that band. Confusion over what constitutes hard rock and what is legitimately heavy metal arises because of the shared lineage between the two forms. Armor of Ire is replete with verse-chorus structures, and its composition, while elegant and logical, does not aspire to the progressive aspects of extreme metal. What makes it heavy metal, even at its most streamlined, is its attack, and the ambition found at the level of the individual riff and harmony and their generally taut nature; nearly-classical/folk motifs lie embedded inside the make-up of these riffs; that Eternal Champion, and heavy metal bands at large, don’t develop them in the manner of progressive bands should not be leveled as a criticism against them, because that is plainly not what music of this ilk purports to achieve. Do peasants in the field obsess over developmental variation? Do soldiers on the march give a damn about vocals shadowing riffs? No, because what they need during and after hours of back-breaking, foot-blistering toil is something to sustain and uplift the spirit, so that the day to follow can be endured with some degree of stoicism. The brain may be the driver of great things, but the heart is the seat of action in the instant. 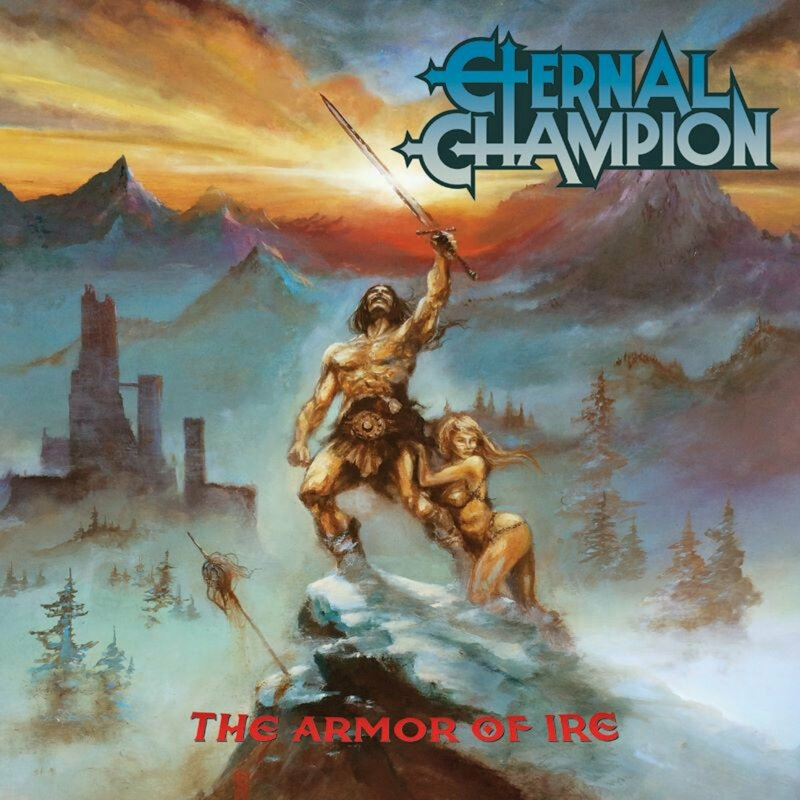 This entry was posted in Heavy Metal and tagged armor of ire, eternal champion, heavy metal, True Metal, USPM. Bookmark the permalink.